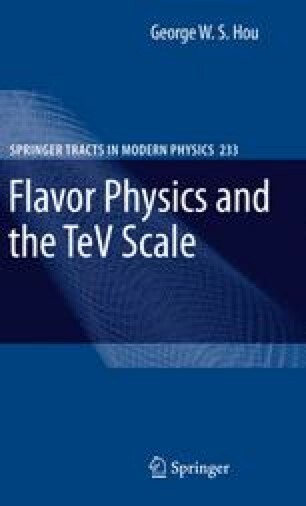 It should be clear from the previous chapters that loop-induced \(b\to s\) transitions offer many good probes of New Physics at the TeV scale, and it is the current frontier of flavor physics. As last examples of their usefulness, we discuss probing for Right- Handed (RH) interactions via time-dependent CP violation in \(B^0\to K_S^0\pi^0\upgamma\) decay and searching for enhancement of \(B_s \to \mu^+\mu^-\) as probe of BSM Higgs boson effects. Combining signature versus the raw cross sections, the former is best done at a (Super) B Factory, while the latter is the domain of hadron colliders, where great strides have already been made.